Getting your Fles project building with ant and Flex Builder, parts 1 and 2. Setting up unit testing with Fluint. ANT – The original builder. It can carry, like, 10,000 times its own weight in builds. Unzip it to c:\ant. 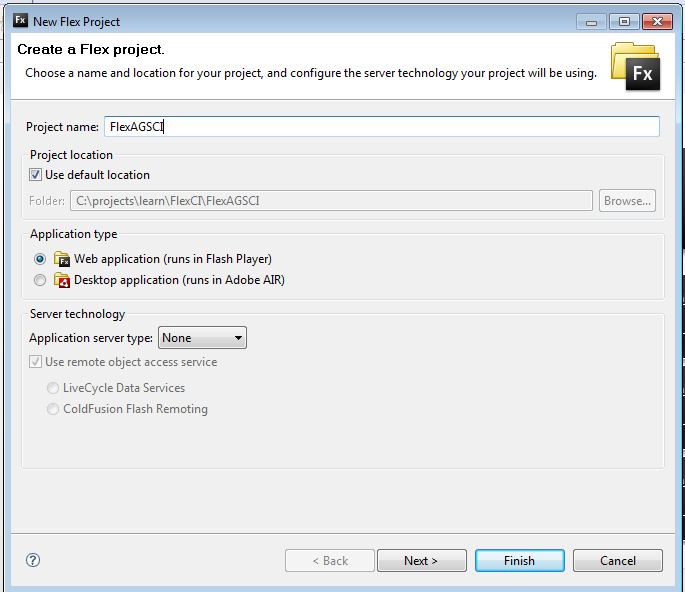 Flex Ant Tasks – These come with the Flex SDK, which comes with Flex Builder. You can find them in C:\Program Files (x86)\Adobe\Flex Builder 3\sdks\3.2.0\ant\lib\flexTasks.jar. 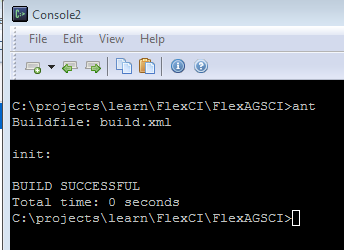 If you don’t have Flex Builder, go download the SDK and put it somewhere. Open Flex Builder and create a new project. I am presuming that your local workspace is c:\projects\FlexCI, though it really doesn’t matter. So, we’ll start by creating a new Flex Project in Flex Builder. Hit ‘Next’ in the project wizard and we have our project. 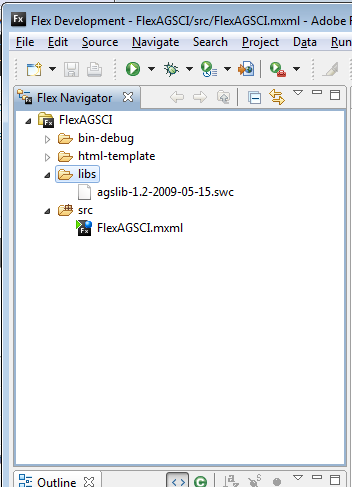 Copy the AGS Flex API swc into your libs folder (see pic). Now we have our map. In Flex Builder, build (Ctrl+B, unless you are using ‘Build Automatically’) the site and run it, you should see a map of our world. Building with Flex Builder works, which was a requirement for me. I wanted people to be able to build and debug in the IDE, but also quickly build from the command line with ant. I like Flexibility, #rimshot. Clean out the build dir. Copy the flexTasks.jar file into your c:\ant\lib folder. Reference these tasks in your build.xml file. Now, let’s add the build-flex-project target, which uses the mxmlc Flex ant task. srcpath.dir – the source directory, so we knows what to build. application.name – What do we want our SWF to be called. The last thing we need before running the build again is to change the default target to build-flex-project. You’ll find the default attribute on the root project element. Look in your bin-debug folder, and you’ll see the SWF file, which should be fully functional.